New books about London. All can be found in or ordered from your local independent book shop. By God, the tube of the 1980s was a grim, rotten place. Litter and fag ends appear in at least half the photos here, as do drunks, druggies and depressed commuters. 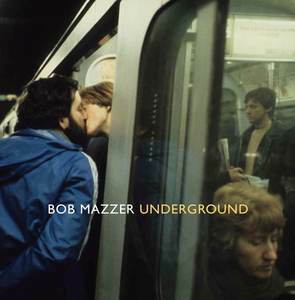 But the Underground Mazzer captures in this book also feels a more human place than our own tube, with time and space to linger, strike up a tune, or steal a departing kiss (there are lots of smooches in this book). As a collection, we've never seen anything quite like it. Every photo raises questions or (in older readers) provokes nostalgia for long-lost fashions and fittings. There is not a single filler in the whole book. Mazzer recently exhibited his photographs at Howard Griffin Gallery in Shoreditch, and this is effectively the catalogue, published by Spitalfields Life Books. The large format gives the shots full impact. We only wish the book included a few more comments from the man himself...then again, how many of us can remember the thoughts, feelings and locations of photos we took two decades ago? Now this was a doubly pleasant surprise. First because, upon seeing the title, we feared we were getting a book about second-hand clothes. Second because, although it's yet another collection of old London photos, we hadn't seen a single one of them before. That's because they're from the personal collection of Whitelaw, who's been hoarding colour photography of the capital for two decades. Most of the images presented here are from an era more usually depicted in black and white. Scenes of bomb damage, forgotten landmarks and VE Day crowds leap off the page. 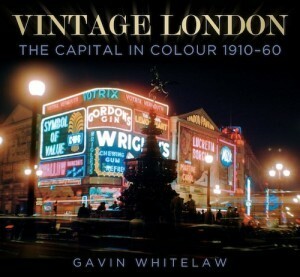 Whitelaw is also an able guide, fastidious on his London history, and a keen buff of photographic film types. The earliest photo here — and the earliest colour photo of London the author knows of — is from 1910 and shows an Edwardian gent perusing a theatre bill poster. But for a slight blur, it might have been Instagrammed. A valuable treasure box of bygone days that raises eyebrows on every page. Graham McPherson done good. The Madness singer seems to have gained National Treasure status following that famous performance on Buckingham Palace for the Jubilee. This autobiography is a timely reflection on the frontman's back story, from the council estates of Camden to closing the London Olympics. We read how the author was once a prolific graffiti tagger (his first use of the name Suggs), of endless scraps and scrapes at football matches, bloody drunken days working in an Islington butchers, and the perils of playing Top of the Pops. It matters not if you enjoy the music of Madness, this is a spirited account of a life lived mischievously in the streets and bars of north London. 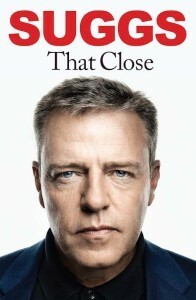 Suggs pops up in this book, too, writing a few words of introduction to another character from his 'hood. Alf Dole was the grandson of the very first Pearly King of St Pancras (which is not in the East End, despite what the Express thinks). This is an autobiography of his early years growing up on the streets of Somers Town. Alf recounts the poor-but-happy lifestyle of his vast family, hop picking summers, and the proud moment when he received his first pearly suit. The book is at its most affecting during the war years, as young Alf sees his family scattered by conscription and evacuation, the nightly terror of air raids, and descending into the underground with his grandfather to cheer people up with a bit of Pearly humour. 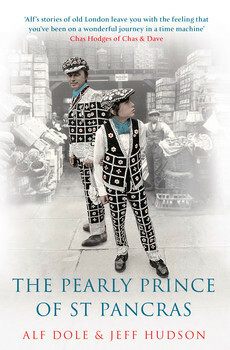 Despite the title and cover, there's relatively little about the Pearly Kings and their ways. This is much more a childhood memoir of a typical north London kid in the 1930s and '40s who happened to have an unusual family tradition. Alf, now sadly departed, is a natural storyteller, and the pages fly by faster than you could say 'costermonger'. This social history is a pearly treat for anyone interested in London at war and before. Two Houses in Spitalfields: Architect Sir Richard MacCormac introduces the story of two adjoining houses in Heneage Street, joined by a secret door and restored from near ruin by MacCormac and his late wife Jocasta Innes. The beautiful photography by Jan Baldwin captures the rescued architecture of Spitalfields, as well as Jocasta's interior designs. She recently died from cancer, and Sir Richard also has the disease, so all profits from the book will go to Maggie's charity. Buy direct from the author. The Analogue Guide to London: This is a neat, compact guide to some of the capital's more stylish (but spendy) eating and drinking options, plus a few choice galleries and museums. It's not exactly a niche that no one else is filling, but it's well handled, with exactly the places we'd expect to see listed. Londoners could use it, but it feels more suited to the well-heeled visitor who wants to cut through the crap and book into the right places. Buy from these local stockists. Portobello Road: Lives of a Neighbourhood: is bloody brilliant, but we're only a quarter way through this new book by Idler Academy's Julian Mash. Full review next month!